Our coaches provide high quality instruction whatever your ability, so you are sure to have an exhilarating and memorable occasion. It is our passion to help you improve your shooting and have fun while doing so. 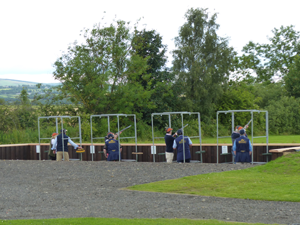 We provide a wide range of instruction whether it’s for a novice, clay or game shooter. Have you maybe picked up an annoying trait or bad habits over the season? Let us help you identify and rectify this so you will get the most enjoyment and success for next season. Any time taken with our coaches is time well invested. We have several tuition options available as follows . . . This is the perfect option for those who are new to the sport. There are some very important aspects to cover such as eye dominance and gun fit to get you breaking those clays. No experience, license or insurance needed. Are you looking for something a bit different to do with your day ? Why not try an exhilarating morning or afternoon with an experienced coach on our shooting ground ? It’s often a lot of fun learning to shoot together and is also adds a healthy dose of competitive spirit into the mix. Planning a party with a difference? Why not plan an experience which will create some great memories. Our group lessons are tailored to meet your requirements for that special day. Bywell is the perfect venue to host your corporate event of any size. 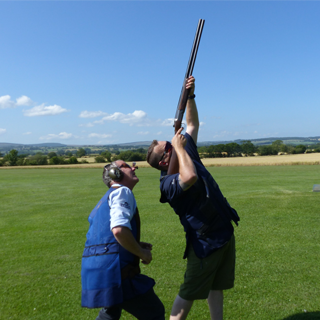 Clay pigeon shooting is a popular form of entertaining clients, as it is quite different from anything else. Your event will be carefully planned by our highly organised and friendly team to ensure that it is tailored to you and your client’s needs. We can offer half day packages and full day packages and cater for all budgets.